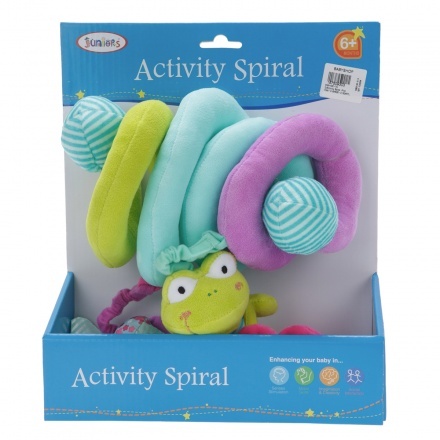 Juniors Activity Spiral | It has to be pulled for wiggling and can be attached to a car seat. An adorable add-on to your kid's stroller, it can be easily attached the stroller's armrest. Featuring fun toys hanging from the spiral, your little one will enjoy playing with them. 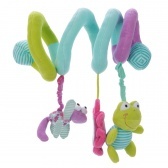 The hangings include a big flower in the centre with striped plush toys on either side. Feature 1 : It has to be pulled for wiggling and can be attached to a car seat.